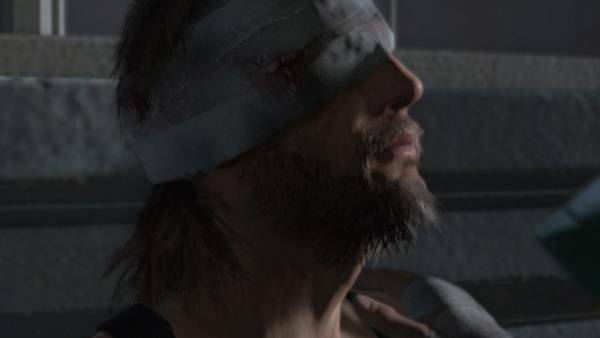 Metal Gear Solid V: Phantom Pain - All unlockables with the Ground Zeroes save data. In this section of our complete guide to MGSV: The Phantom Pain, we will show you how to unlock these bonuses. Depending on the progress made in Ground Zeroes, prequel and intro of the fifth chapter of the saga, we can unlock bonuses for Mother Base Phantom Pain, simply by connecting online and transferring GZ saving. You can simply start PP, on the same console that you save GZ. The game will ask you to connect to the network to check your save and download bonus. The bonuses obtained will be placed in PP Mother Base, available after the first episode of the main story. Bonuses are represented by various resources to the Mother Base, ranging from fuel to Chemistry Materials, and some new members being held in the GZ cells. - 4 Of them can be found in the cages to the east along with Chico. - A prisoner lies in the western part of the map, inside a tent. - 2 Prisoners can be found in the cages to the east where they were held in Chico main mission. - People Of interest are precisely the objectives of the mission: The Finger and The Eye. One of them patrol the central area of the complex. The second objective is located on the main tower of the complex, and often accompanied by two guards. - The Main mission goal is none other than Hideo Kojima, the creator of the series. You don’t have to do that to defend the whole mission and pull it at the appropriate time. -The Three prisoners can always be found in the cages to the east. -The Easiest way to remove people of interest is to question the undercover agent and then follow him secretly and surprise him when he wakes up. He will take you with the bald soldier and you can take two soldiers with a single interrogation. -The Person of interest is instead the prisoner 12282, located in the same place where you find Paz -the main mission.